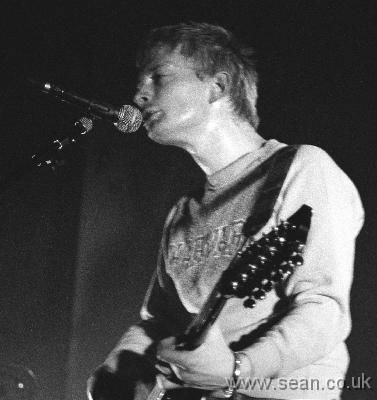 On the day Radiohead's second album The Bends was released in 1995 they headlined Aston Villa Leisure Centre in Birmingham. I was there and I reviewed the gig for Making Music. It was the second time I had seen them. 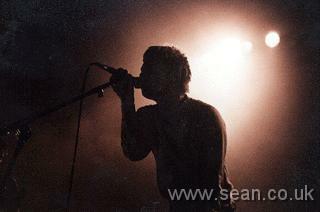 A couple of years before I had seen them supporting the Frank & Walters. Then, they were thrashy and Creep was the only memorable track in their setlist. 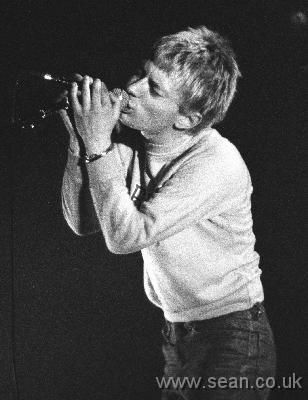 By the time The Bends came around, the band was already showing signs of its future greatness. My favourite Radiohead album (and indeed one of my favourite albums ever) is the ambient rock experiment Kid A. 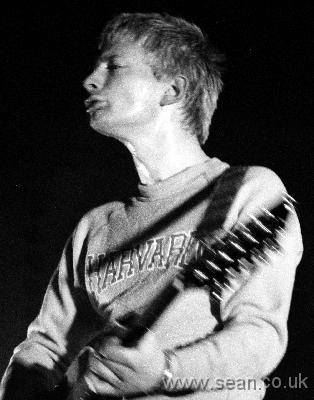 But I'll always have a soft spot for The Bends, which soundtracked my finals. These otherwise unpublished photos are great mementoes of this gig. 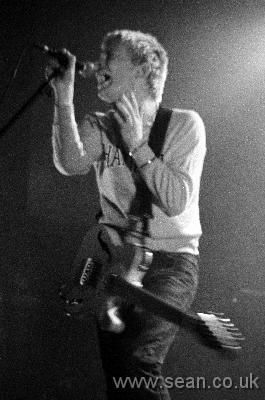 It was also the first gig I photographed. 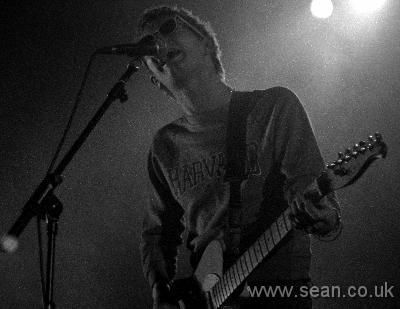 All photos © Sean McManus. Unauthorised reproduction and linking directly to image files prohibited. Contact me to discuss licensing. Interface is based on Lightbox JS, created by Lokesh Dhakar.